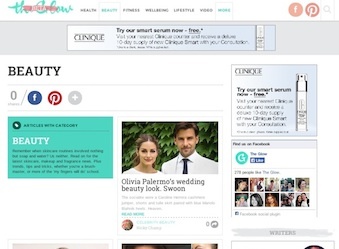 In Australian media sector news this week, online publisher Mamamia prepares to launch its new health and beauty site, the Walkley Young Australian Journalist of the Year is announced and MPA throws its support behind EMMA. 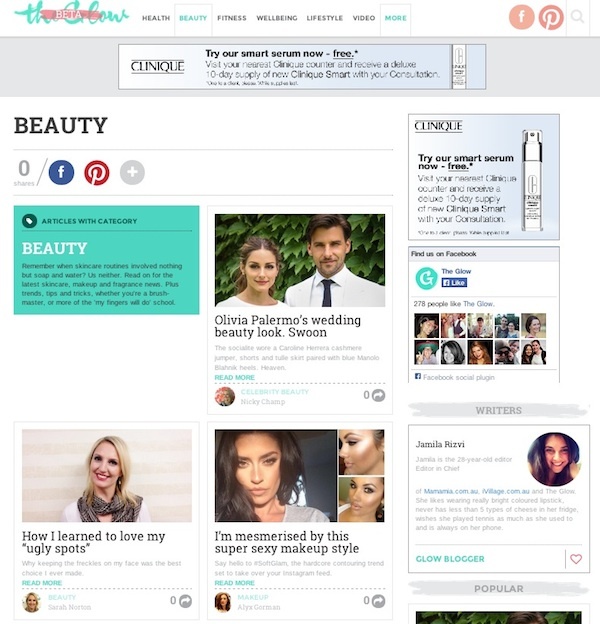 Online publisher Mamamia is preparing for a launch tomorrow of its new website dedicated to health and beauty, The Glow. 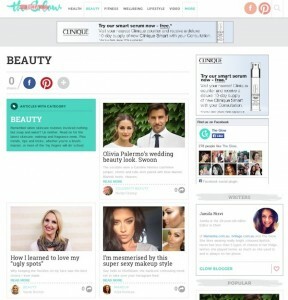 A beta version of The Glow is currently online featuring advertising from Clinique, Athlete’s Foot, Nescafe and Dove. Mia Freedman remains at the forefront of the operation as founder and publisher. Jamila Rizvi will extend her role to become editor in chief across The Glow, Mamamia and sister site iVillage Australia. In February, Mamamia hired Alyx Gorman, former editor of The Vine, for The Glow’s editor role. Other senior staff listed on the beta site are: Nicky Champ as beauty director, Kahla Preston as producer and Natalia Hawk as fitness editor. The Glow has already attracted more than 270 likes on Facebook. The Walkley Foundation 2014 Young Australian Journalist of the Year has been awarded to Sydney freelancer Ella Rubeli. Judges hailed Rubeli’s work, which appeared in The Global Mail, as “outstanding” and “compelling”, utilising video, photojournalism, print and multimedia. Her three stories, told across multiple platforms, featured “determined individuals”; communities fighting coal miners in the Hunter Valley, a mother grieving the loss of her son and the indigenous housing crisis in Tennant Creek. The 2014 category winners were: Liam Mannix (innovation in journalism), Holly Humphreys (student journalist of the year), Caitlyn Gribbin (radio/audio), Benjamin Collins (print/text) and Joel Tozer (television/video). Magazine Publishers of Australia (MPA) has thrown its support behind the new engagement metric by Enhanced Media Metrics Australia (EMMA), announcing data showing that magazines drive action in the market. MPA cited EMMA to announce that on average, 95% of readers said they use magazines to find information about the things that interest them or to learn something new. 87% saw products in their magazines that interested them or that they wanted to buy. More than seven out of 10 readers say they are inspired to do something after reading. MPA executive director Mary Ann Azer said the EMMA metrics confirmed magazines’ place in the marketing mix. In an Australian first, cold and flu medication brand Dimetapp is optimising its advertising focus by use of digital retail and cafe screens that promote its products only on cold days. The nearly 600 digital screens across the country are programmed with ‘temperature parting’ technology that monitors the daily forecast temperature of an area and shows Dimetapp advertising when it is colder than the local winter average. Digital media provider oOh! Media’s network of digital screens includes more than 2000 in airports, shopping malls, bars, cafes, social sport centres and university campuses throughout Australia and New Zealand. oOh! Media chief executive officer Brendon Cook said the technology allowed advertisers to change their messages depending on the weather. “This is the first time in Australia we’ve run a national campaign during winter that controls content based on how cold it is in a range of geographically targeted areas. An independent efficiency review into the ABC and SBS has recommended the networks start charging viewers for content, but the federal government has told media it has no plans to implement that advice. The efficiency review, conducted by former Seven West Media chief financial officer Peter Lewis, reportedly suggests the ABC’s popular iView service enter a paid model. Other suggestions include merging the ABC and SBS offices to save on overheads, partnering the networks with private industry and increasing the amount of advertising allowed to run on SBS. The Australian reported last week that cost-savings of up to four percent were now likely for the ABC, quadruple the one percent cuts outlined in the May budget.